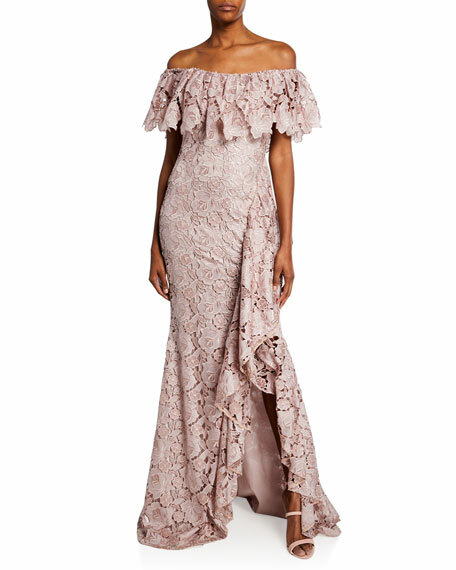 Badgley Mischka Collection gown in a shirtdress-style featuring semisheer sleeves with ruffle trim. For in-store inquiries, use sku #2839406. 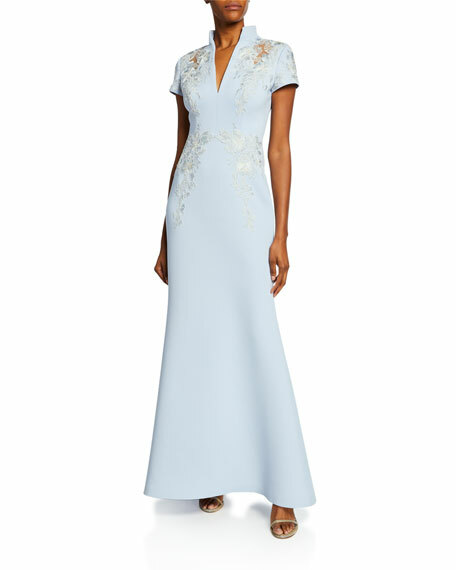 Badgley Mischka Collection embroidered gown with cutout details at shoulders. 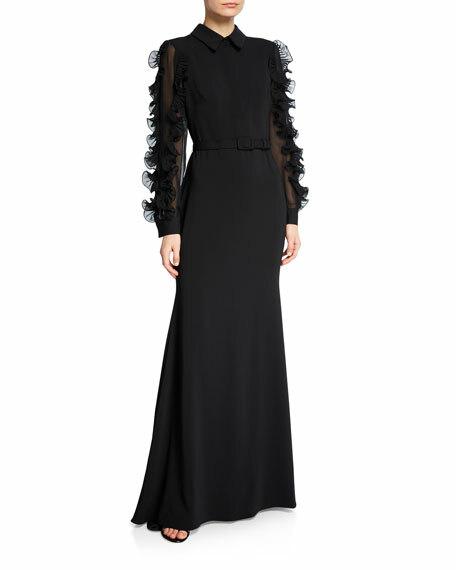 V neckline; stand collar. Short sleeves. Mermaid silhouette. Floor length. Hidden back zip. Polyester/spandex. Polyester lining. Imported. 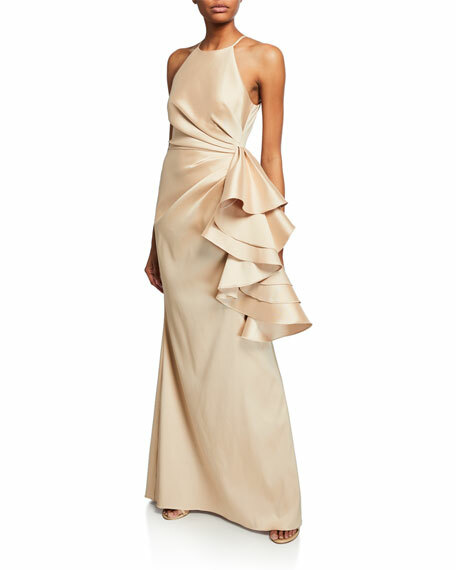 Badgley Mischka Collection mikado gown featuring a shirred bodice and draped side ruffle. Halter neckline. Sleeveless. Column silhouette. Floor length. Hidden back zip. Polyester/spandex. Polyester lining. Imported.